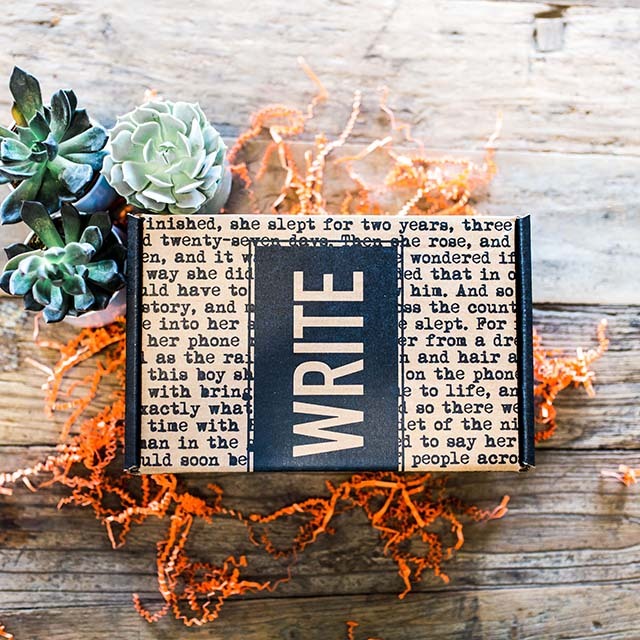 Grab one of the very last January Scribbler boxes! Shipping included in price. Shipping inside the US only. It includes an autographed copy of CIRCLE OF SHADOWS by Evelyn Skye, a writerly beanie, a Scribbler-exclusive "Story Board," a 4" sticker, a pocket mini-notebook, a writing passport with a teaching essay from Evelyn Skye, an inside look at the publishing process, and an invite to listen in on a chat with Senior Literary Agent, Carly Watters. Fair warning: these will most likely sell out very quickly. Free shipping does not apply to this box.